Firstly, Lawcris wanted the ease of looking at all their cameras in one place. The new buildings cameras were poor quality and did not work together with their cameras in other buildings. After installing their new CCTV, Lawcris could use the app to access all of their cameras at once from anywhere. This included sending the HD video images to our 24-hour NSI NACOSS Video Receiving Centre should a detection occur. Should the CCTV operator notice anything suspicious they can make an audio announcement via our site wide public address speaker system and notify the police and local security team. Whilst we install and maintain many brands of IP CCTV systems our solution was the Samsung Wisenet III High Definition video management system. As an accredited Samsung installer, we are able to offer cost effective yet very high-quality equipment that delivers crisp High Definition with real time images without affecting the clients network performance. Samsung are unique in offering cameras that “throttle” back the bandwidth without reducing image quality. Network performance was a key requirement. Due to their high demand, there are always forklifts driving around the warehouse and delivery drivers in the loading bays. 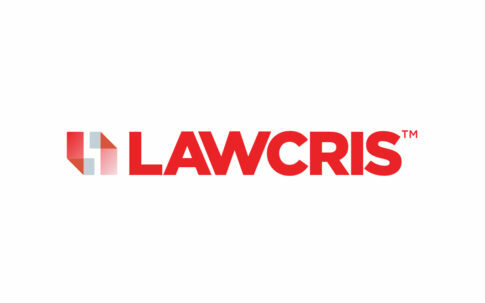 Lawcris wanted to monitor that their staff were meeting all the health and safety requirements where necessary. All live and recorded camera image are available to the management team to view via their laptops, iPad’s and mobile phones. This enables them to maintain site security, monitor vehicle and people movements across the site for security health and safety purposes. 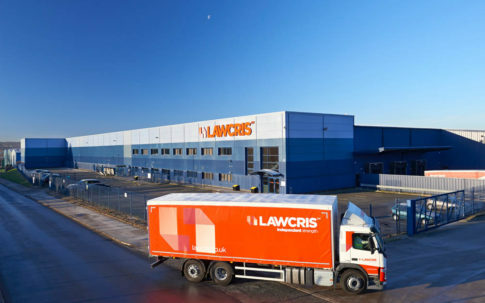 Like any business, Lawcris needed to deter anyone from stealing stock, vehicles, machinery or causing any malicious damage; making it clear that they the site is monitored with police response to catch them in the act. We suggested vandal resistant dome cameras with enhanced infra-red illumination for low light and night time recording, each camera installed with an external movement detector providing full perimeter coverage. 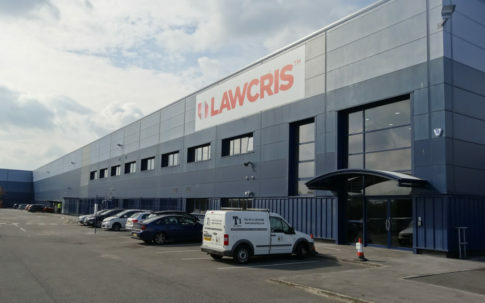 Cross Green is 1 mile away from Leeds City Centre, it is the prime industrial warehouse location in Leeds, West Yorkshire. With the A63 running straight through the middle, it also has both the M1 and M62 motorways nearby. Cross Green is now home to the Leeds Recycling and Energy Recovery Facility where they convert household waste into energy. Osmondthorpe, Beeston, Stourton, Belle Isle, Holbeck, Wykebeck, Hunslet, Halton, Sheepscar? Need help or advice on CCTV Cross Green? Whether you’re in Leeds or anywhere else in the UK – please call us on 0113 281 2106 and we will be delighted to help you.